Lucas Landon is a member of The Grizzly MC, a crew of bear shifting bikers. He lives his life on the edge, and doesn’t follow any rules besides his own. 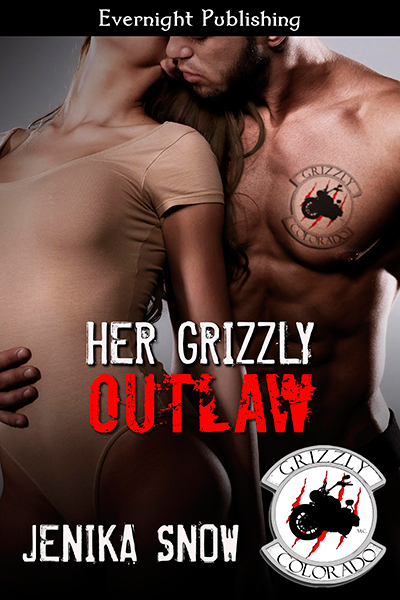 Lucas knows that what he really wants will never be his, and that is Tarren Stoker, the daughter of Dallas, an original Grizzly member. When he finally has Tarren in every way, he doesn’t want to let her go. But he has to because he feels she’s too good for him. When Tarren and Lucas share one sexually intense night, is ends awkwardly. As the years pass and they share another moment together, she realizes that her love isn’t dying but growing for the hardened biker. But when they find a pleasurable medium in their relationship, everything comes crashing down when Tarren finds out she is pregnant. Is Lucas ready to be an outlaw father?